HSBC experienced a data breach, impacting some U.S. customers and their personal data. Although there are no signs of fraud just yet, the breach may have impacted about 14,000 customers. The attack occurred from October 4th to October 14th in London’s HSBC which is the world’s seventh largest bank and the biggest in Europe. When the breach was identified, HSBC “suspended online access to prevent further unauthorized entry” to affected accounts. “The information that may have been accessed includes your full name, mailing address, phone number, email address, date of birth, account numbers, account types, account balances, transaction history, payee account information and statement history where available,” HSBC says in its data breach notification. HSBC and their attorneys notified affect victims of this breach via mail on November 2. Less than 1 percent of HSBC costumers were impacted by the breach. HSBC refused to reveal the number of victims, but they manage about 1.4 million U.S. accounts, therefore, 14,000 customers may have been impacted. The threat artists behind this attack are believed to go on a credential stuffing attack, which is what criminals usually do after obtaining usernames, passwords, or other personal data to gain access into an account. The best way to guard against these attacks is to never use the same password on multiple accounts. Using the same credentials for multiple sites is a hacker’s dream come true. July 2009: The Financial Services Authority fined three HSBC firms a total of £3 million after a string of problems, including losing an unencrypted disc containing customers’ personal details, which was lost, as well as leaving such information lying around offices. January 2010: HSBC said that a former employee had stolen information pertaining to up to 24,000 clients’ accounts in Switzerland, which he turned over to French tax authorities. 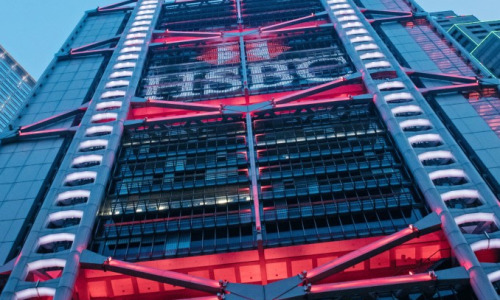 January 2016: HSBC repelled fresh DDoS attacks, but its mitigation efforts left some customers unable to access their accounts.